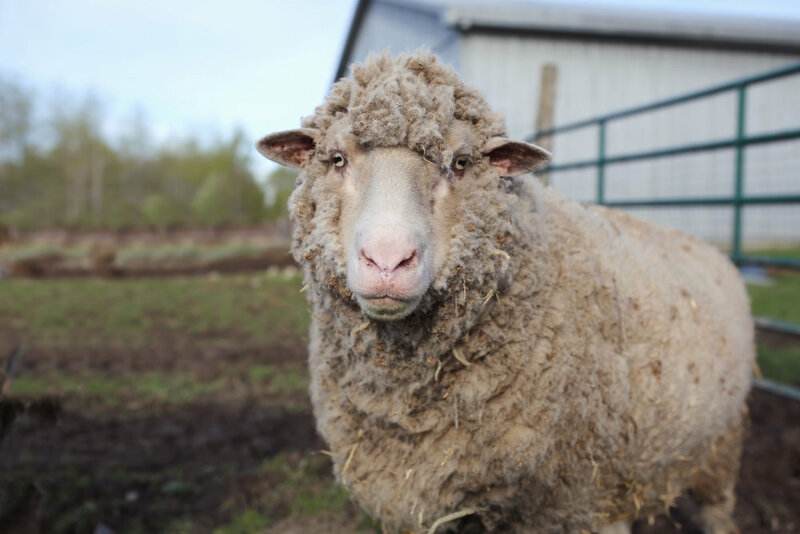 Bradley and Gus came to us in 2011 via another sanctuary, who had taken in a large group of sheep released from a local vet college. They were our first sheep and we really had no idea what to expect. They were gregarious and hilarious. They spend their days grazing and at night sleep with our farm pigs. They recently welcomed a new sheep friend to their herd named Lucky.